The NOAA/ESRL global methane (CH4) run a month behind those released for carbon dioxide (CO2). The global methane for September, 2016 was released on December 5th. 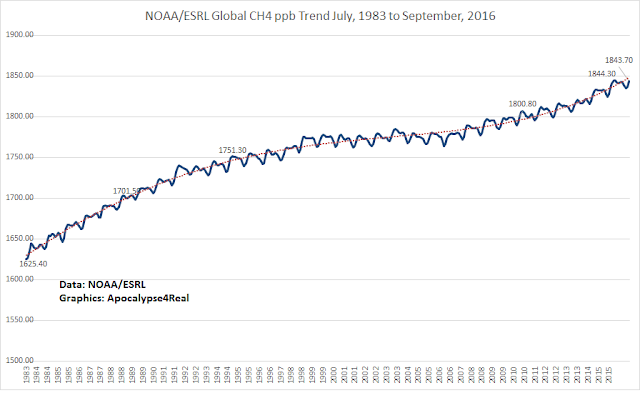 The global monthly mean was 1843.7 ppb, an increase over September, 2015 of 8.2 ppb. 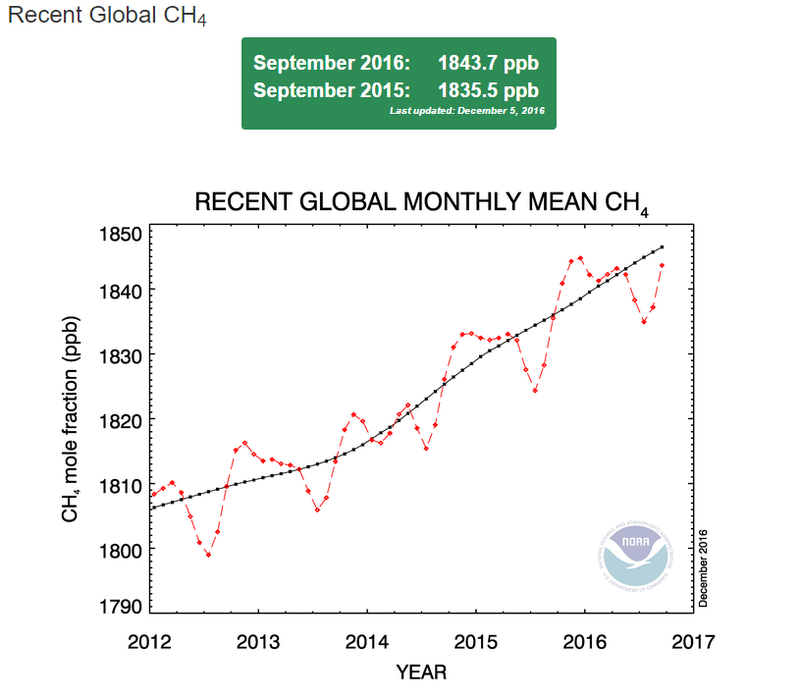 This makes it the highest global mean methane for any September on record since 1983. What continues is the strengthening trend of the accelerating increase of change over the previous 5 and 10 years compared to September, 2016. The blue line above represents the monthly mean global CH4 change compared to one year before. 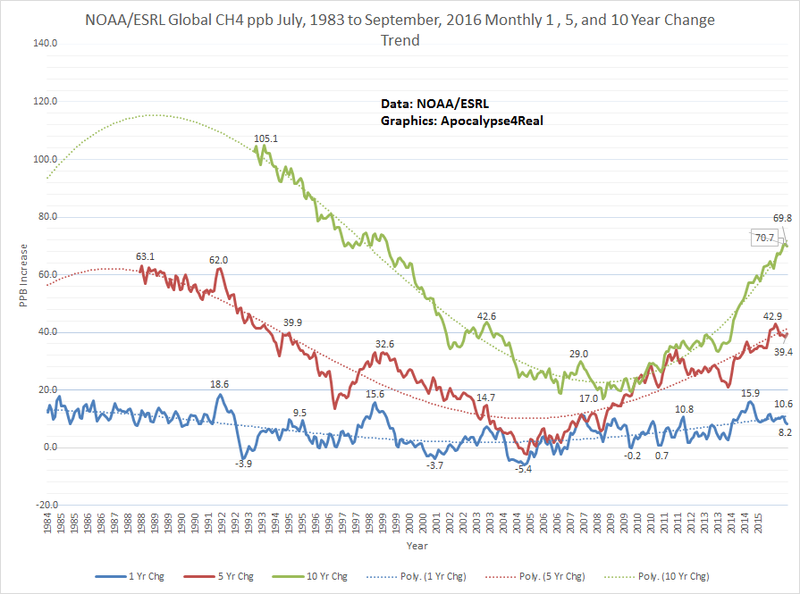 The red line represents the monthly mean global change compared to five years before, and the green is the monthly mean methane change compared to the same month ten years prior. This graph plainly illustrates the increase in methane emissions since the end of 2006 and especially their unprecedented jump from April, 2014 till September, 2016. This increase in methane is even more concerning with the publication of a new paper. They find that methane radiative forcing has been underestimated by 23% and that, "The GWP for the 100 year time horizon, the most commonly used metric, increases from 28 to 32." 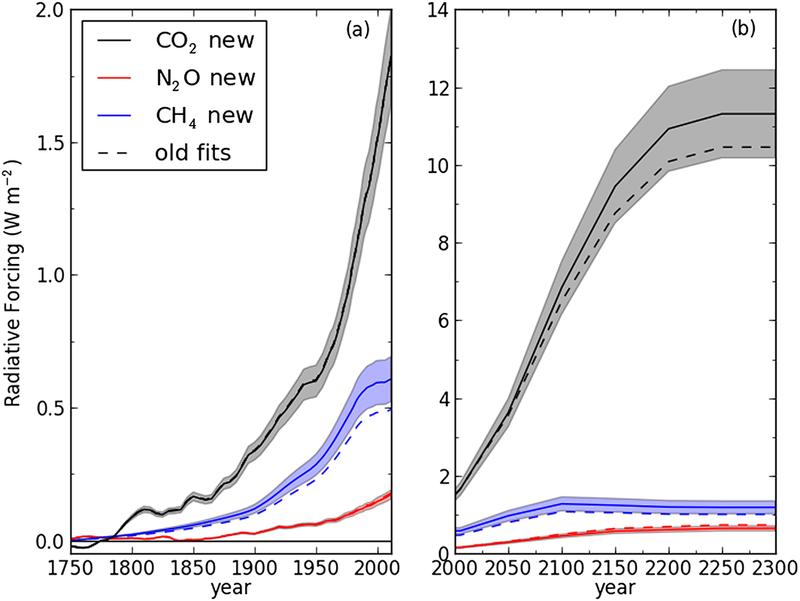 The result is significantly higher Wm-2 impacts for future global temperature modeling. The October, 2016 NOAA/ESRL global mean methane should be released in the next few days.